Payroll still has work to do in mining its data for useful trends. The Chartered Institute of Payroll Professionals (CIPP) 2019 Future of Payroll Report, which surveyed 500 payroll executives, found that 40% of payroll departments run analytics in an ‘organized’ manner, understanding what analytics they report on and which tools they can use to get the information. However, another 36% crunch the numbers on an ad hoc basis (only when asked). A full 14% answered ‘not applicable’, meaning they didn’t do it at all, and 5% relied on other departments for data and analytics. Done properly, a competent analytics operation can increase the strategic importance of payroll departments to an organization by giving them the tools to help other business departments answer critical questions. That’s an important step, because 36% of the survey respondents saw payroll as a purely operational function in 2019. Before we can continue, we should define the concept of analytics, which is different to the business intelligence (BI) that punctuated they 1990s and early 2000s. Traditional BI involves measuring what has happened in the past, using reports and dashboards to chart trends in data. As Gartner points out in its analytics ascendancy model, analytics is moving the needle forward, offering organizations the chance to harvest new insights from their data. 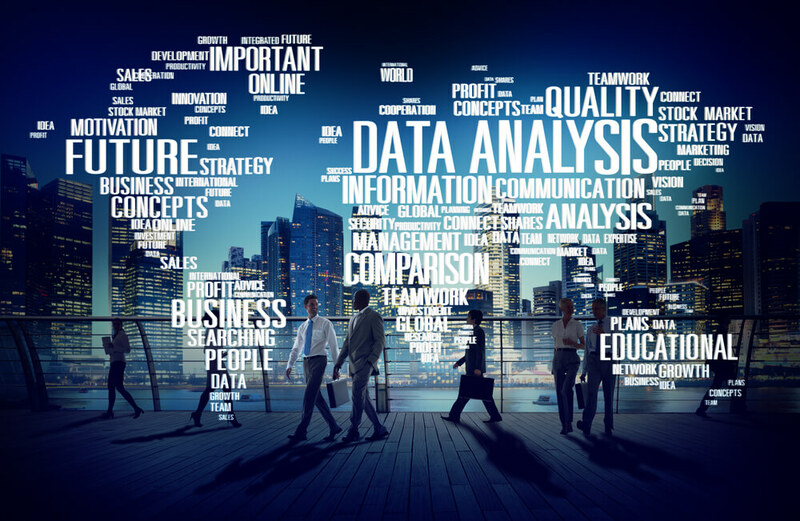 It describes the existing business intelligence approach as descriptive analytics, which offers hindsight by enabling you to ask your data what has happened in the past. Further along the maturity curve is diagnostic analytics, which enables an organization to ask why something happened. Applying these analytics tools to global payroll offers a range of benefits. Spotting trends in payroll errors can help minimize errors such as overlooked bonuses, miscategorization of contractors and employees, missed deadlines, incorrect employee information, incorrectly logged hours, and miscalculations in withholding or pension contributions, Even descriptive analytics systems can help identify patterns of missed payroll deadlines that cause supplemental runs. This is only the beginning, though. Payroll analytics can also help companies to spot potential compliance issues. This is of particular benefit in global payroll environments where companies are dealing with regulatory differences across a range of jurisdictions. By analyzing patterns in hours worked, payroll departments can be useful partners for internal legal experts grappling with variations in labor laws. Similarly, they can provide a high-level view of how a company is managing tax deductions and taxable benefits across different countries, which could be invaluable to accounting departments trying to ensure that companies are complying with local rules. Fraud detection is another area where payroll analytics can yield actionable intelligence. Deloitte worked with a large textile manufacturer to conduct a health check on its payroll system. After feeding its payroll data into an analytical data mart, the company found several cases of payroll being processed for employees who no longer worked there, along with employees who would turn up to work late and then work past their shift to claim overtime. Companies can realize these benefits fairly early in their analytics journey. From there, they can progress further along Gartner’s analytics ascendancy model to a more difficult but highly appealing approach known as predictive analytics. This extrapolates from past data and uses it to look ahead to the future, enabling teams to ask what will happen next. The final, most difficult approach to analytics is prescriptive. It not only models the future, but helps companies understand what they must do to achieve those outcomes. Analytics tools become more powerful as you give them more of the right kinds of data. Marrying data from different sources can help to reveal new insights, not just about where an organization is coming from but about where it’s going. This is where companies can unlock the value of big data. Combining payroll information with other data including talent management and financial performance information can help to shed new insights on key aspects of company operations. Mashing together finance and payroll data can help the accounting department forecast budget and cashflow, or identify emerging problems such as decreasing profits and rising costs. Combining payroll and productivity information can yield new insights in staff capacity and how it affects performance. For example, it can help with business planning by helping to assess key performance indicators in the business. One use case involves optimizing employee performance by mining financial data to assess the revenue per employee, or some other job-specific per-employee productivity metric such as widgets made or contracts processed. Drilling down, it could map this metric against employee compensation to assess the effectiveness of compensation plans. Business planning teams could use these tools to decide how they should increase employee performance. Should they provide more training, or invest in different management styles, or benefits? Are monetary or non-monetary rewards more effective? This use case is highly applicable in a global payroll environment because companies will identify differences in these metrics across different countries or at an even more granular level. On that note, another application for payroll analytics is in human resources. A little judicious number crunching and visualization could help with talent acquisition and retention by benchmarking compensation across different regions or jobs. It could help with staff retention and succession planning by predicting staff churn and recommending the compensation packages to keep them. Or it could provide valuable hiring advice by helping managers to visualize risk and cost trends among different employee groups and relate them to business performance. Companies can also use payroll analytics to help answer questions such as whether to outsource aspects of payroll (and if so which ones), and how frequently to pay employees to maximize productivity and profit. Gartner has said in its research that organizations will reap greater business advantages as they progress along its maturity curve and explore these newer, more powerful analytics approaches. However, the further along the maturity model you travel, the more difficult it becomes to achieve these analytics outcomes, the market advisory company has said. The challenges break down into several areas, some technical and some organizational. For example, to capitalize on all their different kinds of data, companies will have to create a single, unified view of information across the whole company. That takes a level of organizational maturity as internal departments that may be highly protective of their data learn to share it with each other. Even with departmental blessing, companies will need to understand the infrastructural differences across different IT systems to get that data out and then normalize it, converting it from a range of formats so that the analytics system can read it all. When dealing with global payroll analytics, even the payroll systems themselves may be different. Companies will need to identify each payroll system and understand what format it uses, and what data it receives and produces. Then, when the data is finally in the right place and shape for an analytics system to use, the more advanced forms of analytics in Gartner’s model will require new skills to support them. Predictive and prescriptive analytics systems typically involve new technologies to extrapolate data, specifically machine learning, which is a branch of artificial intelligence. Companies may find themselves in need of data scientists who understand how to massage data into the correct forms, train machine learning models to find patterns in it, and then ask those models the right questions. The good news is that payroll departments needn’t overcome all these challenges at once. Gartner’s analytics ascendency model demonstrates that you can gain mastery over your data in stages, and unlock varying degrees of insights along the way.